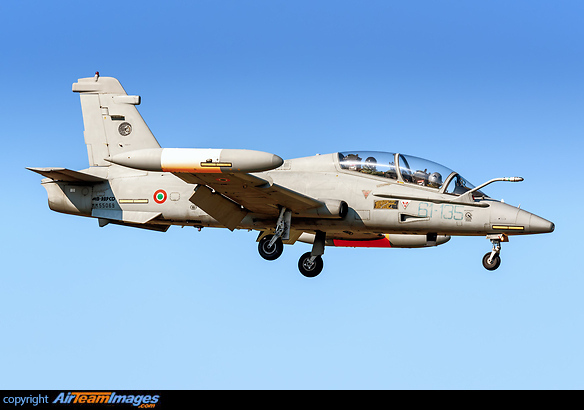 The Aermacchi MB-339 was developed as a follow on from the companies earlier MB-26. The MB-339 is a two seat advanced jet trainer with full aerobatic qualities. Operated by the Italian Air Force display team the Frecce Tricolori. 1 x Rolls Royce Viper (2500 lbf) turbojet engine.